No one wants to find termite damage in their home. These insects can eat through parts of your home’s structure and leave you with a huge repair bill. It is best to have an annual termite inspection in Jacksonville to keep your home safe. Termites usually stay close to the base of a structure because of the moisture in the ground. However, they can travel upward to get food. As they go up, they will create little tunnels called mud tubes which are made from the soil and their feces. The tube provide shelter to protect their soft body from drying out. These insects are the source of all kinds of havoc in your home. The workers burrow through the wooden members of your house. This causes displacement of core pieces of the wooden members and can lead to failures in the structural integrity of the home. Essentially, they are completely removing those core pieces by consuming them. To keep yourself from dealing with major repairs, you need a yearly Jacksonville FL termite inspection service. Who Needs a Termite Inspection Jacksonville FL? If you are a homeowner or a business owner, then it is a good idea to contract for a yearly termite inspection service. Sometimes, it can be difficult to identify termite damage until it is a severe problem. When you are on a yearly contract, Bug-Man Pest Control places a termite bond on the house and comes annually to look for any signs of termites. Each inspection comes with a detailed report which identifies any conditions that are conducive for termite activity. It is better to have a contract with a business that offers termite control in Jacksonville, than to take chances that you will see the insects before they damage your property. Something else to keep in mind when it comes to termite inspection in Jacksonville FL, is that if you are to sell your home, you will have to submit to a wood destroying organism inspection which is required by the buyer’s financing company. When you go to sell your home is not the time you want to find out you have damage. Prevention is best when it comes to handling an infestation of an insect that can cost you so much. And it’s much less expensive. It is our passion to serve the area with our knowledge and expertise in the pest control industry. We are a Family Owned and Scientifically Operated that has been in business for over 40 years. If you have any questions regarding termite control in Jacksonville or our other services, please feel free to contact us today. We are ready to answer your questions in full. 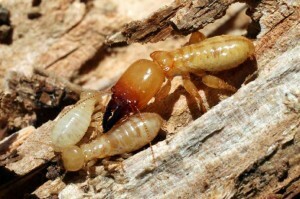 We can set you up for a free termite inspection.